Hair loss can be very devastating. Suddenly finding your hair thinned or bald spots will often cause many to react in a singular way, go hunting for a remedy. The hair loss industry is quite massive with remedies on offer from all over the world. For women, it is not just head hair that matters, but also that around the eyes. It is rather obvious when a woman is forced to make use of cosmetics to helps create the image of lost eyelashes and eyebrows. Penciled in brows and false lashes are easy to tell and are an embarrassment to many women who often look on enviously at celebrities who have been naturally gifted with facial hair that actually requires trimming and plucking to control. Having longer, thicker and fuller lashes is a common goal of many. People however take care in their attempt to achieve this goal because they understand that whatever remedy they apply, there is a good chance it still find its way into the eye. Not only is the eye a very delicate organ, it is also necessary to or vision. Anything that compromises our ability to see is best left alone hence the instinct many have to avoid chemical based eyelash growth serums. Chemical based cosmetics have a long history of resulting in negative side effects including causing acne breakouts, skin irritation itchiness and discoloration. In extreme cases of chemicals cosmetics that made their way into the eye, blindness can even be caused. While a considerable number of the remedies found in the market are hocus pocus, there are some in the natural products sections that feature certain ingredients that are proven to contribute positively in some way to hair growth. Most of these ingredients are not only commonly found amongst such products and even used in their marketing to emphasis their natural nature, they are also often easily accessible in our own households. Envyderm Eyelash Enhancement and Conditioning Nighttime Serum is one such all-natural remedy that contains many interesting natural ingredients and offers several other important benefits that makes its popularity understandable. Here we will focus on some of the key ingredients to Envyderm Eyelash Enhancement and Conditioning Nighttime Serum that are a major part of the reason for its effectiveness as a solution to eyelash loss and thinning. Argan Oil – this is a primary ingredient to all Envyderm products and is prized for its ability to moisturize and condition skin and hair. It also helps to make hair appear shiny and healthy. It is rich in antioxidants that help stimulate circulation to the skin cells and combat the damaging effects of free radicals. It also promotes healing of damaged skin that may have scarring that is blocking the activity of hair follicles. Wheat Germ Oil – this is a natural protein that is rich in vitamins A, E and D, fatty acids and minerals. Its contribution to hair is to help it retain water. A well-hydrated lash is easier to bend without it breaking. 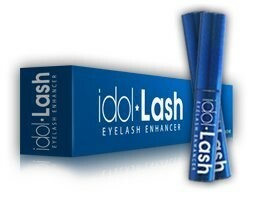 This flexibility is especially helpful give how long the eyelash can grow under the nourishment of a growth serum. Comfrey Root – this is a potent healing herb with anti-inflammatory properties. It helps to encourage cell proliferation thanks to its high levels of allantoin. With faster cell growth, hair growth can also be accelerated. Also referred to as knitbone or the healing herb, comfrey has high concentrations of vitamins A, B1, B2, B12, C and E. It also contains pantothenic acid, calcium, iron, manganese and phosphorus. All these contribute towards quick healing, boosting immunity and cell growth. These are all factors that can be especially useful to people who lost eyelashes partly because of illness. Castor Oil – this oil contains rejuvenating properties that help to stimulate hair growth and blood circulation to the underlying skin. It also contains omega 9 fatty acids that help to moisturize hair and make it look shiny and healthy. Chamomile – chamomile extract is a powerful herbal remedy that is perhaps best known as a tisane or sleep aid. It is often enjoyed as a tea before bedtime. It does however also possess anti-inflammatory and bactericidal properties. This is useful in alleviating irritation and itchiness that is often associated with hair loss. Green Tea – this is an ancient beverage considered to have healing powers. Not only does it help to boost immunity, it also has a high antioxidant level. This may be due to the high concentration of polyphenols in the tea. Antioxidants help to fight free radicals and improve on blood circulation. Wit better circulation there is improved delivery of the nutrients that the hair cells need for healthy growth. Acai Berry – this berry has gained much publicity in recent years as it has been touted as a superfood by many health experts. This is believed to be as a result of its high concentration of antioxidants that remain just as strong even when the berry is processed and stored for use in beauty products. Antioxidants stimulate better blood circulation and neutralize free radicals that damage skin cells. Better circulation means better delivery of nutrients and moisture to the new cells being grown. Beeswax – this ingredient has been used for centuries to not only moisturize hair, but also smooth down the hair follicles for a healthy shiny look. A well-moisturized lash will allow for easy bending without the risk of breaking. Honey – honey is another product from bees that is popular in hair products because of it helps to soften hair, has high antioxidant levels and the ability to stimulate sleeping hair follicles that cause eyelashes to appear thinned or bald. It is also a humectant that prevents the loss of moisture. It can also fight infections due to its antibacterial and antiseptic properties. Panthenol – this vitamin is believed to be useful in the delivery of carbohydrates, proteins and lipids to skin and hair cells. A deficiency in this vitamin can result in loss of hair and graying. Deficiency is rare given the number of foods in which the vitamin is present including meats, vegetables, cereals, and dairy. In many cases of hair loss however, vitamin B5 supplements have proven effective in stopping the problem and encouraging regrowth. Grape seed extract – grape seed extract is harvested from the grape seeds that remain as by product during the making of wine. It contains flavonoids that have an antioxidant effect. Antioxidants help to improve circulation and combat free radicals that cause damage to skin and hair cells. The improved circulation may help in delivery of nutrients to the follicles. Coconut Oil – this oil has a high concentration of saturated fats called medium chain triglycerides. They are highly useful in moisturizing skin and hair. With lashes that have been well moisturized, their elasticity improves, making them less prone to breaking when pressure is applied. Avocado Oil – avocado oil possesses excellent haling properties that work quickly to sooth damaged skin and encourage the growth of new cells. This is useful where the eyelids have suffered some damage that has resulted in scarring. It also stimulates hair growth, making this another ingredient that contributes to the quick results of the Envyderm Eyelash Enhancement and Conditioning Nighttime Serum. Aloe Vera – made up of glue and latex, aloe vera is excellent for soothing irritate skin. This may account for the lack of reported cases of irritation amongst users of Envyderm Eyelash Enhancement and Conditioning Nighttime Serum. It also helps to speed up blood circulation, thereby encouraging better delivery of much needed nutrients and stimulation of dormant hair follicles. Alfalfa – this extract is packed full of several vitamins including vitamins B6, C and K. it also has a high antioxidant level that helps to encourage circulation and combat the damaging effects of free radicals. Vitamin K is useful in boosting blood circulation and the provision of elastin that helps keep skin cells soft. Kelp – this is an ancient herbal remedy with its roots in Asian culture. It is high in vitamins A and K, calcium, zinc, magnesium, folate, amino acids and iodine. Iodine deficiency can manifest in the form of hair loss. Iron and the amino acid l-lysine also appear to be linked to hair loss. The restoration of these nutrients to the body through kelp may be the reason it is often considered a hair loss remedy. Vitamin E – vitamin E is used by the body to dissolve fat. It can be absorbed form a wide variety of foods including cereals, meat, eggs, fruits, vegetables and vegetable oils. It promotes blood circulation by preventing the hardening of arteries and blockage of blood vessels. It is also an antioxidant that combats the damaging effects of free radicals. Vitamin A – this is vitamin’s deficiency is rare given the wide variety of foods it can be found in including fruits, vegetables, eggs, milk, meat and oily fish. It helps in healing wounds and inflammations, thereby aiding in recovery of irritations that may have damaged hair follicles. It also helps to slow the aging process, which is often characterized by the thinning of hair. It aids in boosting the immune system and restoring general health, which can include restoring hair that was lost.